Been there, done that | My travel, food and little escapades! If Balinese cuisine gave me foodgasmic highs then Vietnamese food is definitely in the same league, if not better. Hanoi’s old quarter is a bustling marketplace dotted with noodle shops, restaurants and cafes. There is clearly no dearth of places to relish some of the local delicacies. While Vietnamese food got popular with phở, the cuisine got a more international appeal when Barack Obama and Anthony Bourdain chatted over simple noodles in a nondescript food stall in Hanoi’s old quarter. I am not a coffee person, I am more of a tea girl. But when in Hanoi, you ought to have at least a cup of its famous Egg Coffee! They sell egg coffee everywhere in the old quarter – from tiny shops to cafes – just about everywhere. The legend has it that in the yesteryears when Vietnamese people couldn’t afford milk (for its scarcity or high prices or both – I am not sure), they came up with this unique concoction of replacing milk with egg yolks in freshly brewed coffee. Egg coffee is mild in taste and trust me it’s not gross and has no eggy taste! Surprisingly it was quite yummy and if someone didn’t tell me there was egg in it I wouldn’t even know. So next time you are in Hanoi – do give it a try. Whoever has eaten Vietnamese food, must have surely tried its spring rolls. But to have them in Vietnam, well that’s the real thing. We ate spring rolls in quite a number of restaurants and tried the fresh ones, the deep fried ones as well as the DIY ones. Vietnamese spring rolls use rice paper wraps with fresh herbs, shrimps, carrots, cassava, banana flowers, peanuts, fried onion as well as roasted pork. DIY Spring rolls in Duong’s Restaurant, Old Quarter (close to St Joseph’s Cathedral) was really good. It is one of the best we had. Last but not the least, the most popular Vietnamese dish is Phở! 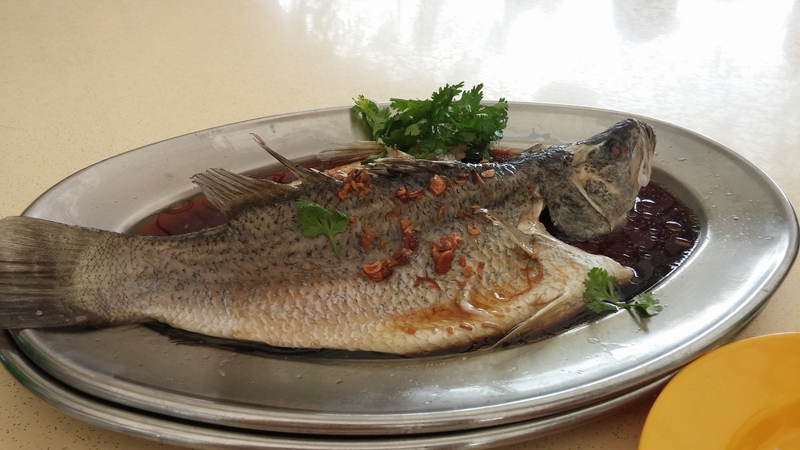 The dish is so widely eaten outside Vietnam that it has almost become synonymous with Vietnamese cuisine. Phở is a clear noodle soup consisting of broth, rice noodles, herbs, and meat. The meat of choice is often beef or chicken. I have had phở in Singapore and found it very average in taste. But the phở in Hanoi was sumptuous – it was so comforting. Although I tried it in a couple of places, I would highly recommend phở at Duong’s restaurant. I would also suggest that you try the roadside noodle shops – some of them are really good and won’t cost a pretty penny. If I’ve to sum up in one sentence – Vietnamese food was refreshingly light, easy on the palette and very well balanced. You would definitely keep coming back for more. Food is very affordable in Hanoi. Even good restaurants won’t be very expensive. Most restaurants will accept credit cards. But keep cash handy. Making the most of our proximity to South East Asia (until we can), we visited Hanoi – a 1000 year old city in Vietnam rich in history. French, Chinese and South East Asian influences are some of the several facets all running parallel to one another in this city that feels modern at one point, colonial at another turn and very much Asian overall. The city is essentially made up of two quarters – the Old Quarter – with its chaotic traffic, roadside pho stalls that are a constant sight with its colorful plastic stools and shops overflowing with Vietnamese embroidery to lacquerware artifacts. On the other side of town lies the very distinct French Quarter – with its gorgeous architecture, high end hotels and relics from the French era – charming boutique shops and restaurants. The two quarters are so visually distinct and yet in close proximity of a few kilometers. We chose to stay in the Old Quarter – in the thick of action. It is a labyrinth of small roads and alleys, dotted with very narrow and tall buildings – which I was told is a very Vietnamese way of construction. Even on the countryside, one would find buildings that are very narrow, with several stacked floors, even though they have the luxury of space. It is very much the similar to Delhi’s Malviya Nagar, Mukherjee Nagar etc. In many places it reminded me of Old Delhi too. Staying in old quarter helps navigate easily to a lot of attractions, eateries as well as shopping. One of the key attractions in the Old quarter is the Hoàn Kiếm Lake and the Ngoc Son Temple sitting amidst the lake on a tiny island. Built in the 18th century, the temple is connected to the island by that famous red bridge – one of the most photographed attractions in Hanoi. 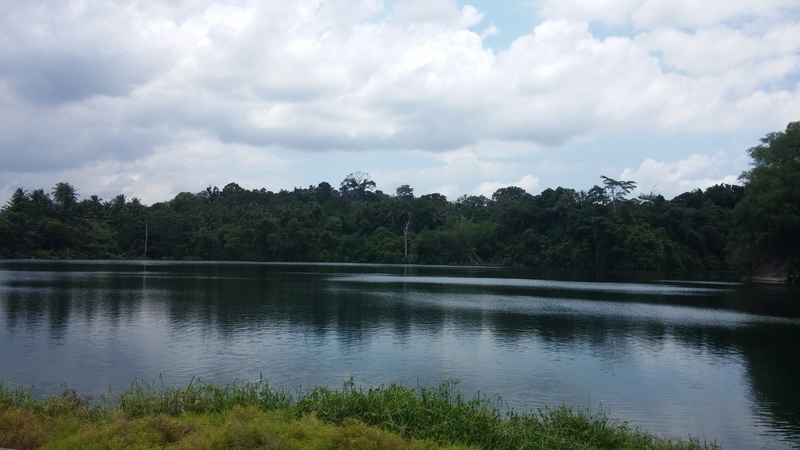 The legend is that in the 15th century, King Le after a battle returned a precious sword to the genius tortoise in the lake and people still do believe that the sacred sword is buried somewhere at the bottom of the lake! The distant tower in the middle of the lake is also known as the tortoise tower. Entry fee is VND 30,000 per person. The other attraction is the St. Joseph’s Cathedral – a church built in 1886 and located on Nha Chung (Church) Street in the Hoàn Kiếm District. It is one of the first structures built by the French colonial government in Indochina! Another key tourist activity is to watch the Water Puppet Show which is located next to the Hoàn Kiếm Lake. It can be easily found. The show narrates a story of the lake and the legend of the golden turtle. It is quite a decent show. However, the only problem is the entire program is in Vietnamese language. So maybe it can be given a miss. Although children may find it quite interesting. There are many shows and the duration is about 50 minutes and the tickets range from VND100,000 to VND 200,000 which is about USD 10 – 12. Hanoi is also home to the Ho Chi Minh Mausoleum, where the embalmed remains of the great leader is preserved. The massive granite structure is next to the Ba Dinh Square – where President Ho declared the independence of Vietnam on September 2, 1945. The Mausoleum is closed on Fridays. Please check the opening hours before visiting. Visitors are expected to be quiet and show respect when inside the mausoleum. The complex also houses the Ho Chi Minh Museum and the One Pillar Pagoda. Entrance fee for the Museum: VND 20,000. This entire complex is very stroller friendly. Temple of literature is not a religious place, rather it is a university built in 1070. The complex has five courtyards, gardens, a pond as well as the Well of Heavenly Clarity! From statute of Confucius to large drum and bell tower, the temple of literature shows how different dynasties and scholars have added to the university. The complex is very well maintained and clean. You can expect to spend about an hour here if you leisurely walk. Since it is a very old complex, it is not stroller friendly, so you need to carry your strollers in certain sections. The charming and elegant French Quarter in Hanoi clearly has a rich French influence, especially its architecture. As we rode on our rickshaw from Old Quarter to the French Quarter, the crowd began to thin out and the ramped alleys gave way to wider roads. The architecture also significantly changed to more colonial French buildings – we passed by several foreign embassies, government buildings, luxury hotels, the Hanoi Opera house, beautiful boutique shops and restaurants. One can also stroll around the area for a better feel. Roads are much wider compared to the old quarter and there are pedestrian pavements which was quite convenient since we were with an active toddler. Whoever has visited Hanoi would definitely mention at least a bit about the traffic! The notorious traffic literally doesn’t stop and it’s never ending too. Yet people manage to cross roads. How? Well you just figure out. If you have to cross roads here – which you have to – there is only one way – just keep walking. Show your intent that you really want to cross and just keep moving until you reach the other side! I was amazed by how the traffic doesn’t stop nor does the people who are crossing the roads. There is perfect coordination and harmony. Plus no honking! And of course my Indian road crossing skills came really handy here. Currency can be confusing! Since the denomination can go up to VND 500,000! Here’s an example: a bottle of water comes for VND 15000! Well that is just about SGD1 / INR 50/ or about USD 0.70 cents. While a good dinner can cost upwards of VND 1,00,0000! When you convert to VND you end up being a millionaire and spend in millions too! Tip: Convert your money in advance, but be wary of getting confused with the denominations. USD is accepted: If you have US dollars bring them as a lot of places do accept USD. Vietnam Visa – I personally felt this is a real scam! If you are from one of those countries that require a visa to enter Vietnam, first you need to get a Visa approval letter online through an agency costing about USD 18 (there are many agencies making it more confusing). Once you get it you can now land in Vietnam and then pay another USD 25 for the actual visa on approval. It is a total rip off. Transport: I would highly recommend using Grab. This app works well in Hanoi like most other SE Asia. Plus, taxis are very affordable. Weather: Hanoi can be a bit cold during winters. You need to carry light woolens. Check weather forecast before you travel. Drink bottled water only. Tap water is not safe to drink, bottled water is the only safe option. Standing tall amidst the tropical greens of central Java, Candi Borobudur is not only a religious place, but also an architectural marvel! Travelling has been on the back-burner for quite a while ever since baby L arrived. However, the travel bug hasn’t really stopped nagging us. Hence a short trip to Yogyakarta or more popularly known as Jogja was planned during the Chinese New Year holiday. For one it was a much needed break and secondly it was to review where we stand in terms of traveling with a baby. The latter can be a full blown write-up in itself that I shall shelve for now. Jogja came into prominence when two historic temple sites – Prambanan and Borobudur were declared world heritage sites by UNESCO. Today, the city is thronged by many tourists to visit them. Borobudur was built in the 9 century and is the world’s largest Buddhist Temple – located in the precincts of Magelang in Central Java – a good 1+ hour drive from Jogja city. The best time to visit the temple is early morning for its picturesque and famed sunrise. We didn’t opt for it for obvious reasons – nobody wakes up a sleeping baby that early. Hence a not so exciting mid-morning was chosen for our trip. Upon reaching, we were escorted to the entrance by our driver, who advised us to be wary of pickpocketing, looking at the huge number of turnouts that day – well it was a weekend plus a public holiday! But thankfully, the temple has two separate entrances for locals and foreigners – which made it easier for us as the local queue was pretty long. It’s about a 10 minute walk to the base of the temple from the entrance. The temple complex is pretty huge and I was pleasantly surprised how well maintained it was, especially its long stretches of well-manicured lawns. As we walked down the main pathway – we could get the first glimpses of the famed Borobudur. It’s huge and magnificent – just like I had imagined. Borobudur is built on nine stacked platforms – six square and three circular, topped by a central dome. It is an easy climb to the top. The central dome atop the temple along with its 72 Buddha statues – each seated inside a perforated stupa – is a sight to be etched in memory. Apparently, the temple boasts of 2,672 relief panels and 504 Buddha statues. It’s awe-inspiring how this ancient structure has stood the test of time – wonder if any of our modern structures will live that long for later generations to witness. It’s amazing how this structure this size was made in that age and time – when little technology and tools were available. It’s also incredible how this huge temple complex was hidden in the jungles for so many centuries! Borobudur, for the uninitiated, was only discovered in the last century and has been restored by the Indonesian government and UNESCO and later declared a UNESCO World Heritage Site! Borobudur was the reason we went to Jogja – and it truly lived up to be a highlight of our trip! I would someday love to come back to experience the sunrise here – maybe with Baby L –when she is no longer a baby. With that I sign off now. As always here are some of the tips before planning a trip to Borobudur! Carry plenty of sunscreen, light clothes, umbrellas and hats as the place has not shades. It is an open temple. Carry water. Although the entrance ticket gives you complimentary water/ tea/ coffee. Try to avoid wearing short clothes as they are not allowed inside the temple compound. However, if you happen to wear short clothes, they will give you a complimentary sarong at the entrance. Purchase a combine Borobudur and Prambanan ticket as it is cost effective. However you need to use the combined ticket within 2 days. The cost of one combined ticket is USD 32. Children below 5 years are admitted free. Avoid Public Holidays and Weekends to escape huge crowds. Follow signage, when climbing the temple as we lost our way a few times. You can join a tour group as it is cheaper but not flexible. Alternatively you can hire a car with a driver and you can spend the day at your own pace. A car with a driver costs about IDR 450,000 for the entire day including fuel and driver charges. You pay extra for parking and tolls. Stay away from people hard selling souvenirs, hats and other knick-knacks around the temple. Be prepared to walk through alleys of shops once you exit. The walk from the exit to the parking is really long and it’s like a maze. Nestled in the central mountains of Taiwan is Cingjing. Its gentle hillslopes and green meadows dotted with Victorian styled cottages and grazing sheeps are reminiscent of the European countryside. 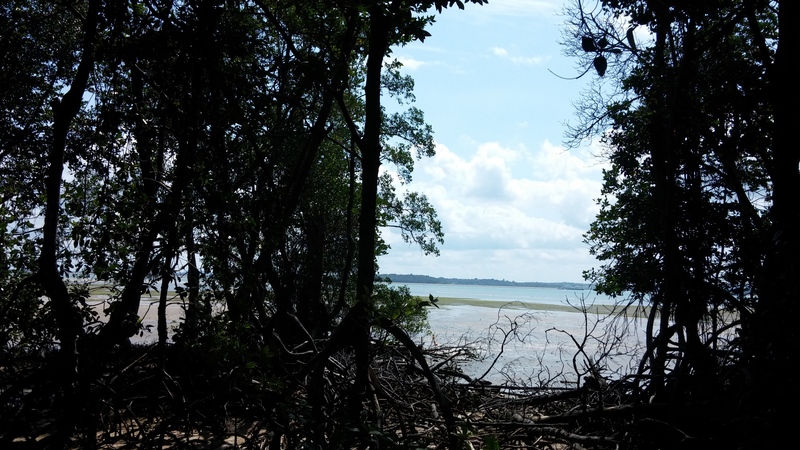 Here is an account of a recent trip to this little Taiwanese settlement. 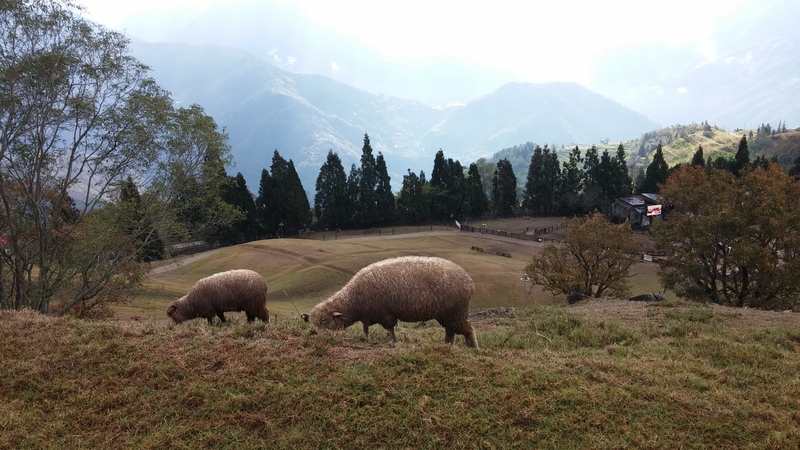 Driving through the Central Mountains in Taiwan and after a day spent in the gorgeous Taroko Gorge and Hehuanshan Mountain (read my first part of the Taiwan trip here), we reached Cingjing Farm in the late afternoon of a wet and misty December day. We had a night and half a day to explore this place located at Renai Township in Nantou county of Taiwan. 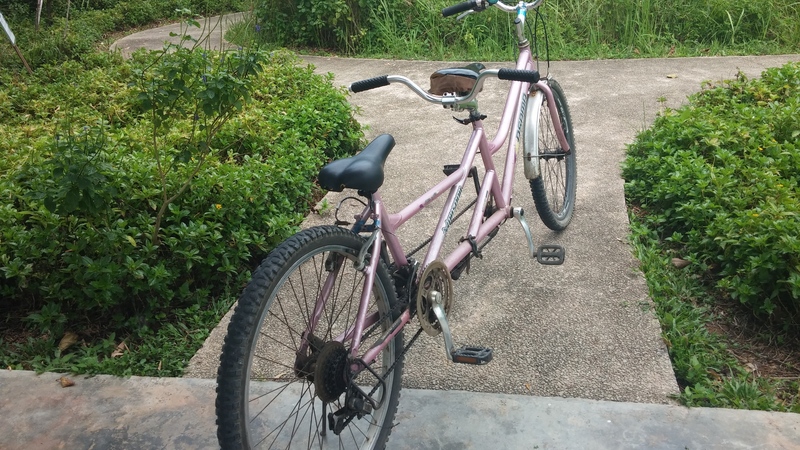 We checked into our minsu – Taiwan is known for its minsus (homestays or small villas and small hotels) that are quite popular among tourists, especially in the countryside. We stayed at this idyllic minsu called – Twins of Seattle! I was quite amused with the name par se and a bit doubtful when I booked the place, but it turned out to be quite a great stay. Since we reached late we spent the evening lazing around and enjoying the mist and chilly evening with a piping hot steamboat for dinner. Our minsu was about 10-15 minute drive from Cingjing’s main attractions, nevertheless we were glad that it was at a peaceful place and at a good elevation. Next morning we got up for the spectacular sunrise overlooking the river at a distance and panoramic view of the hills. We were geared up for a day exploring the farm. Soon after breakfast we took the minsu shuttle car to Green Green Grassland – the main farm that tourists visit in Cingjing. 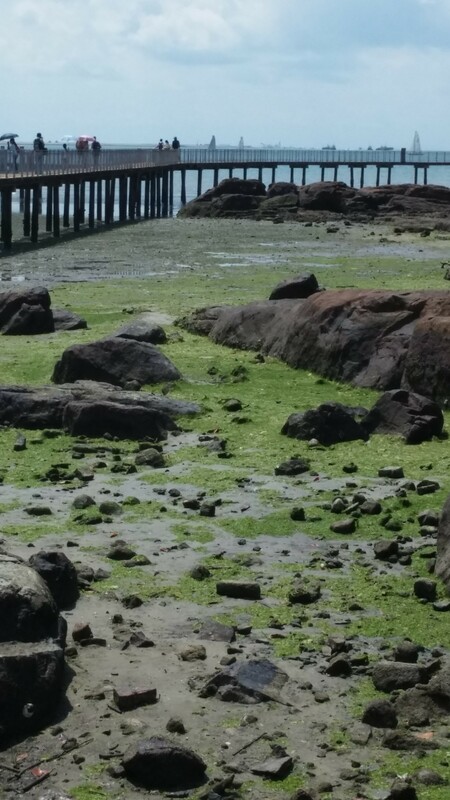 I think the double ‘green’ is to emphasize how green the meadows are. However, it was winters when we visited and the grass wasn’t that green. It was rather brown. The farm is spread over several acres of land on hillslopes. We took a stroll across the farm where sheeps were grazing and it was fun to click some photos with them, although they seemed to be more interested in the grass than their visitors. On the other end of the farm were more pastures with a windmill – I guess just to add more to the farm’s touristy appeal. But it didn’t look so out of place. The farm overlooks the crisscrossing mountains and the valley at the distance with some breathtaking views and is ideal for landscape photography. After spending about an hour or so at the farm we returned to our minsu. Cingjing has one more attraction the Small Swiss Garden, however, after reading not so positive reviews, we thought of skipping it from our to do list. Overall I would say Cingjing was a calming experience far away from the hustle and bustle of urban areas. The place was not just picture perfect, its people were wonderful too. We survived there perfectly without knowing a word of Mandarin, and our hotel staff not knowing a word of English. We spoke in sign language and used Google Translator extensively. Thanks to the helpful and friendly locals who did whatever they could to make our stay enjoyable and comfortable (I will come to that in a separate post). If you are planning a trip to Cingjing, there are two ways of reaching the place. 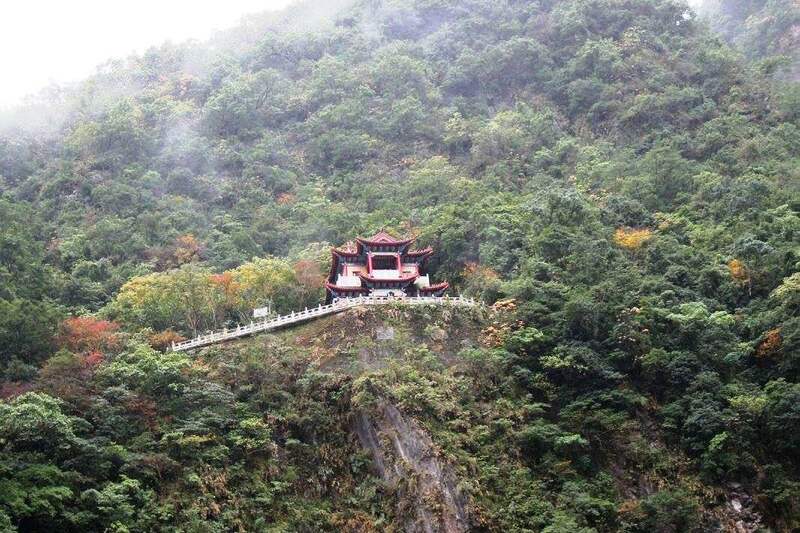 One is via Taroko Gorge and Hehuanshan. This route is longer. 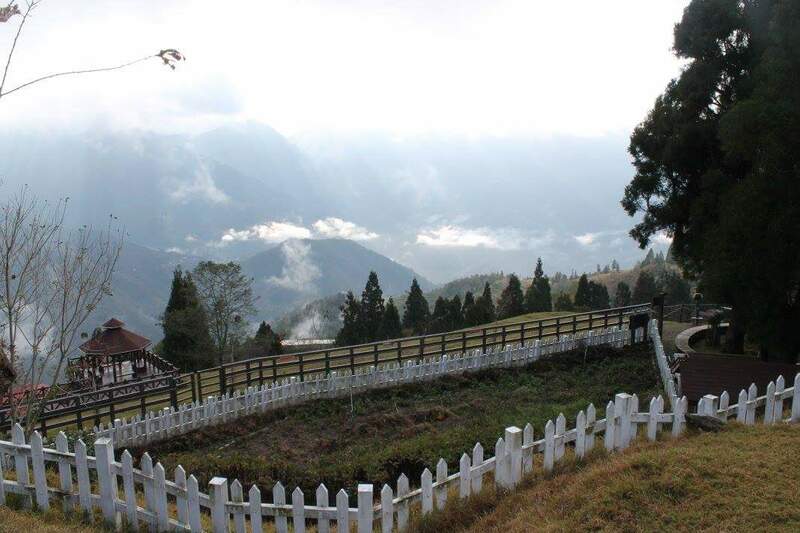 Most people visit Cingjing from Taichung or Sun Moon Lake or even Alishan which are about 1 hour away each. One day is more than enough to visit the farm. In fact you can totally skip staying at the place and make a day trip. 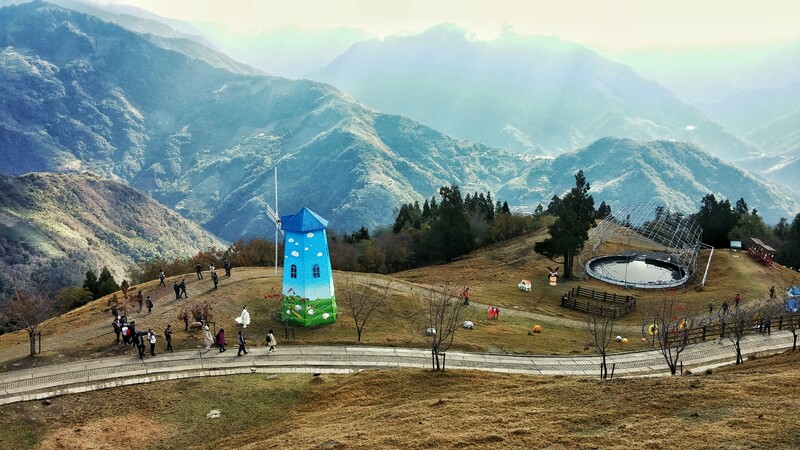 Else you can combine a visit to Hehuanshan mountain along with Cingjing. But do visit the farm! The entrance fee varies for adults and children and whether it’s a weekday or weekend. Visit http://www.cingjing.gov.tw/en/information/index.php for more information. Nearest High Speed Railway Station is Taichung. The farm opens at 8 am and closes by 4 pm. Visit their official website for more details. Coming up next: From Cingjing to Sun Moon Lake. What’s so special about a drive through winding mountain roads that pierces through a slew of tunnels on a misty December morning? Most mountain roads are beautiful, aren’t they? But this drive on Taiwan’s Central Cross Island Highway offers spectacular vistas as it runs parallel to the mighty Taroko Gorge – a constant reminder of how nature works and how beautifully carved creations it leaves behind. 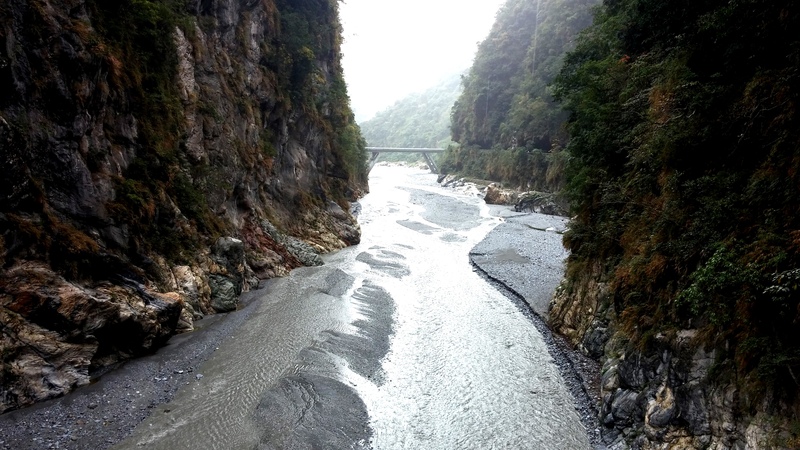 On a wintry December morning we embarked on our drive to Taroko from Hualien – a coastal town in Eastern Taiwan. Within a few minutes – from sea level we drove into the steep landscape on the Central Cross Island Highway – one of the most scenic highways I have ever been to. The highway is not just beautiful it is also considered one of the most dangerous highways in the world due to rock fall incidents every now and then, especially after heavy rainfall or typhoon, when the highway is closed for safety reasons. 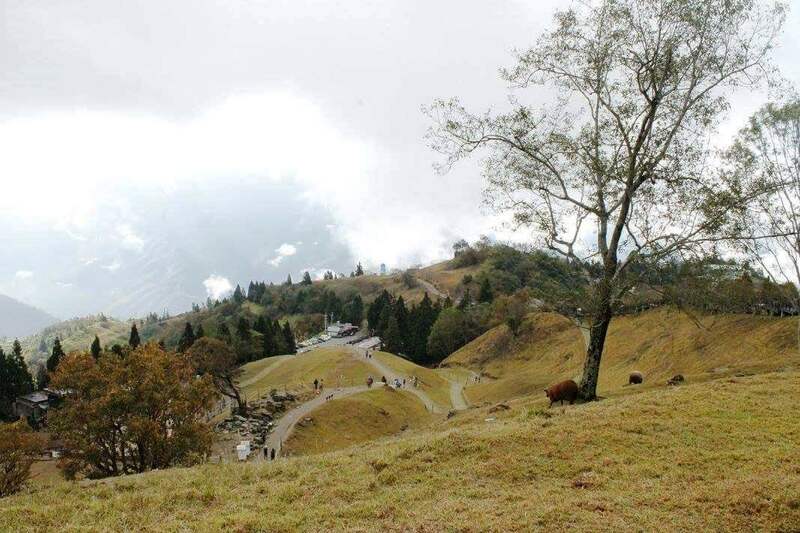 Interestingly, Taroko Gorge has been formed due to the shift in plates – the Philippines Oceanic plate pressing against the Eurasian Continental Plate. In fact the Gorge is still gaining height which is why the place is prone to earthquakes and hence considered risky. 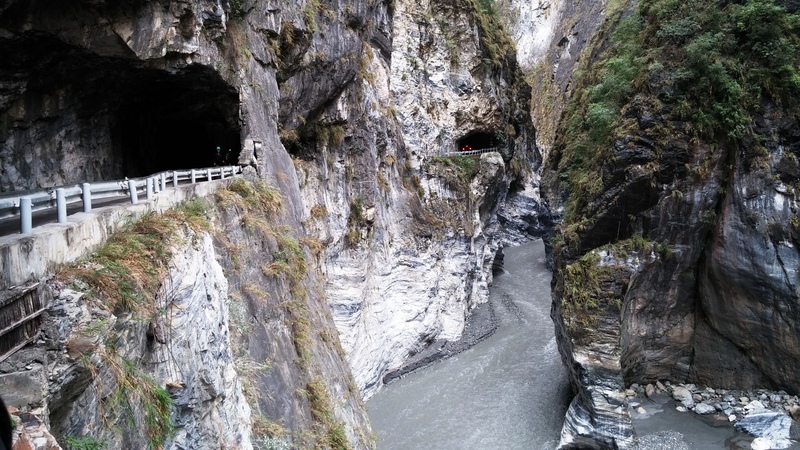 After about 20 minutes, we reached the main entrance to Taroko Gorge – a favorite stopover for tourists and take photos. We also did the same touristy stuff. As we proceeded on the highway, the stunningly carved Taroko Gorge became more and more intimidating. The 19-km-long marble canyon is formed by the flowing Yiwu river which runs in between the gorge. Our next stop was at the Shrine of Eternal Spring. We walked up to the other side of the Gorge to the Shrine via manmade tunnels. 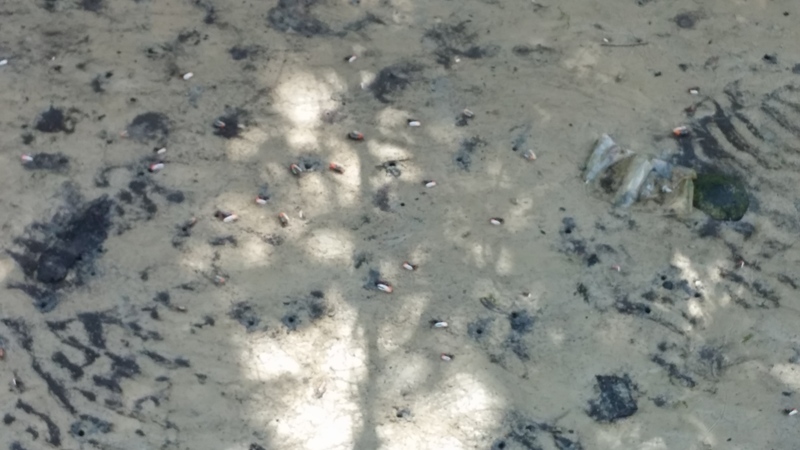 Just for trivia, the central cross island highway was constructed by workers using simple tools and some 200 of them died during the construction. This shrine is dedicated to them. Next to the shrine is a natural spring and its water empties into the Liwu River below. The legend has it that the spring never dries up and hence the name. The view of the temple with the gushing spring water amidst the steep gorge seemed surreal and looked like a postcard straight out of some ancient Chinese book. December is the time for monsoons on the east coast of Taiwan and certain parts of the Gorge were covered in mist. 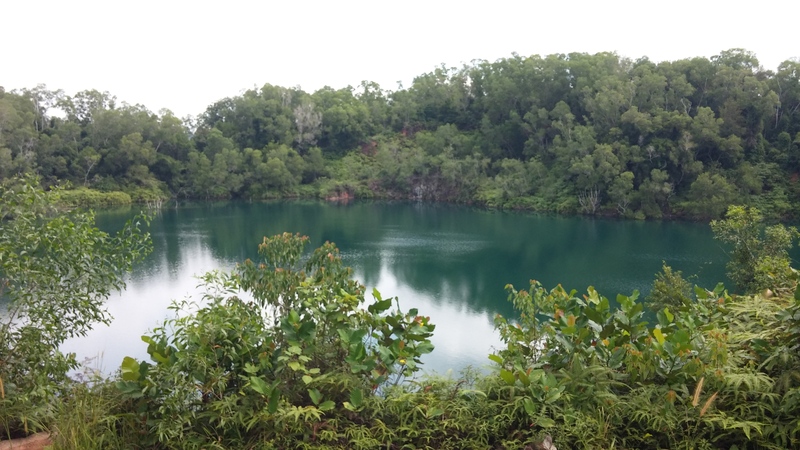 Capturing all the picturesque vistas, we drove to our next stop – Swallow Grotto. We had a chance to observe the marble carved by the Yiwu river from closer quarters. Our cabbie dropped us at a point from where we walked close to the gorge to explore on our own. How artistically the marble has been formed with the water flowing and cutting the rocks over several hundreds and thousands of years. We were told, in earlier days, marble was extracted from the gorge for personal / commercial use by locals. But today, it’s banned and the canyon is protected by the government. Thereafter, we also stopped by at the Suspension Bridge that goes over the gorge. 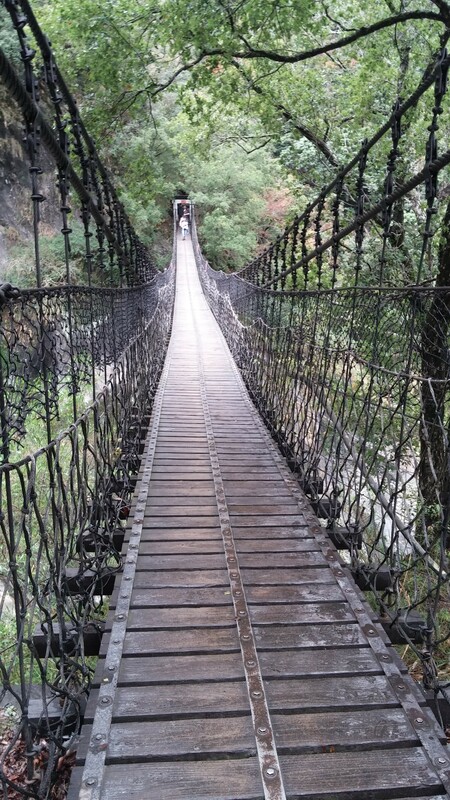 The wobbly bridge reminded me of the Lakshman Jhula in Rishikesh, India. Apart from these stopovers along the gorge, the drive itself was brilliant as we crossed one section of the gorge moving into the other with some sharp hairpin turns leading to a new vista every time. We crossed several long tunnels cutting through the gorge. Another major attraction at Taroko is the Tunnel of Nine Turns, but it was closed for maintenance when we visited. After sometime, we gorgeous gorge gave way to central mountains. We stopped by at the Bilu Sacred Tree which is said to be 3,200 years old and about 50 m high with a diameter of 3.5 m. The trivia that our cabbie shared – this tree is even older than Taiwan’s civilization – because the island has seen human settlement only in the last 2,000 years or so. Interesting, but not sure if it’s true! At this point the weather was slowly getting cold and we stopped by at a local restaurant on the highway for lunch. The food served was pepper chicken with rice – was finger licking good especially on such a cold winter day. After lunch we headed to the Hehuanshan Mountains. For those unfamiliar with Taiwan’s geography, the country is shaped like a sweet potato and the central mountains separate the east from the west coast as it runs from north to south. 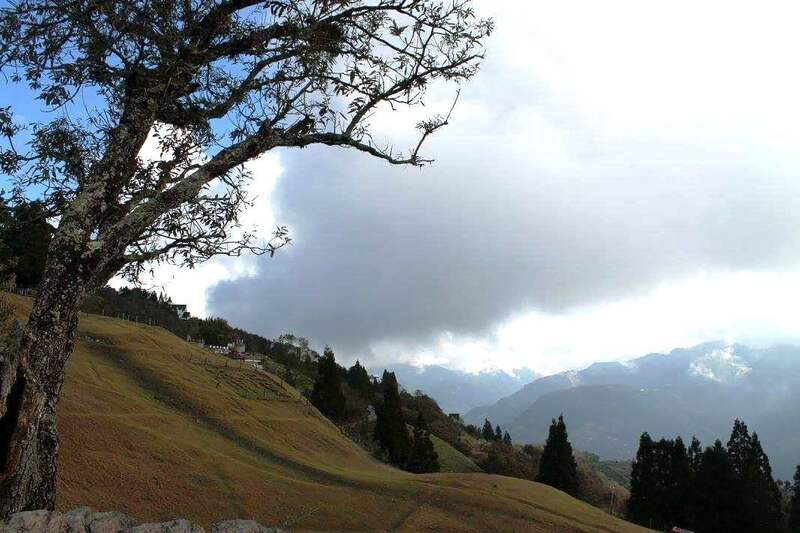 Hehuanshan mountain range is the tallest mountain that is accessible by vehicle in Taiwan at 3422 meters. The day we visited the mountain, the temperature dipped to -2 degrees! We shivered and it started to snow – tiny little flakes. Coming from hot and humid Singapore, it was such a wonderful thing to shiver! 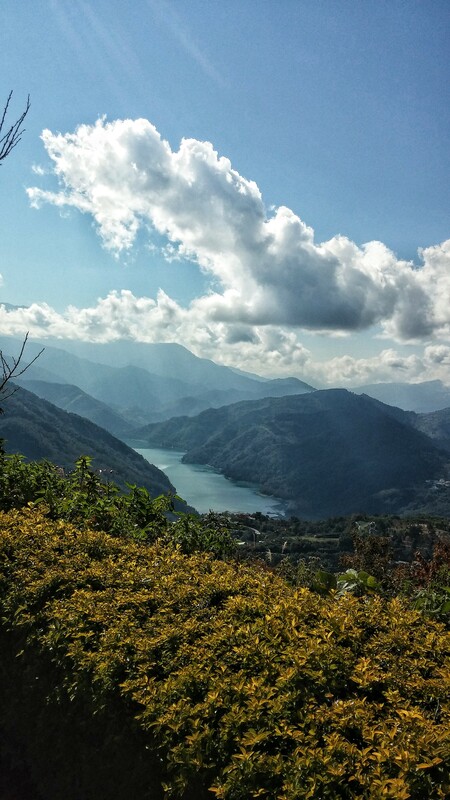 After crisscrossing the several beautiful mountain ranges, our cabbie dropped us at our final destination on this leg of the trip – Cingjing Farm in Taiwan’s Nantou county. So, stay tuned for this part of my Taiwan trip in my next post! 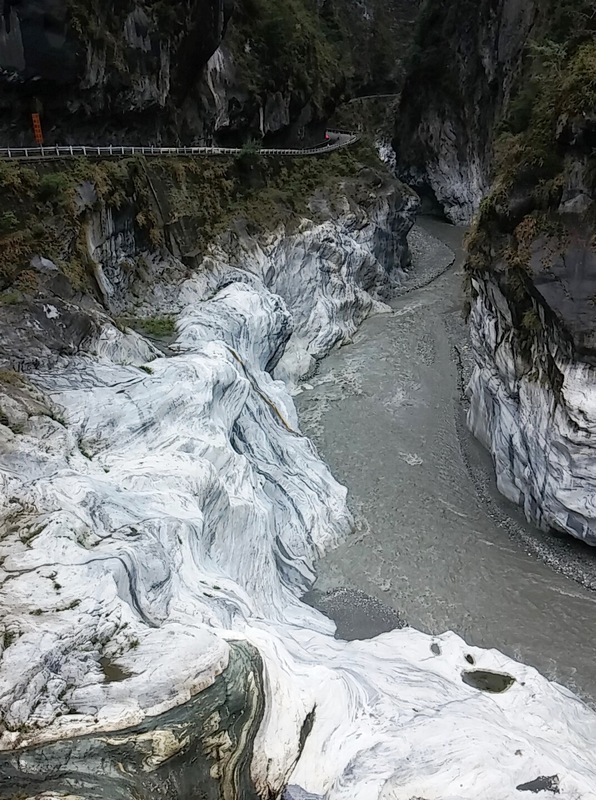 The best way to travel to the gorge is from the nearby town of Hualien – which is well connected by trains from Taiwan’s major cities like Taipei and Kaohsiung. 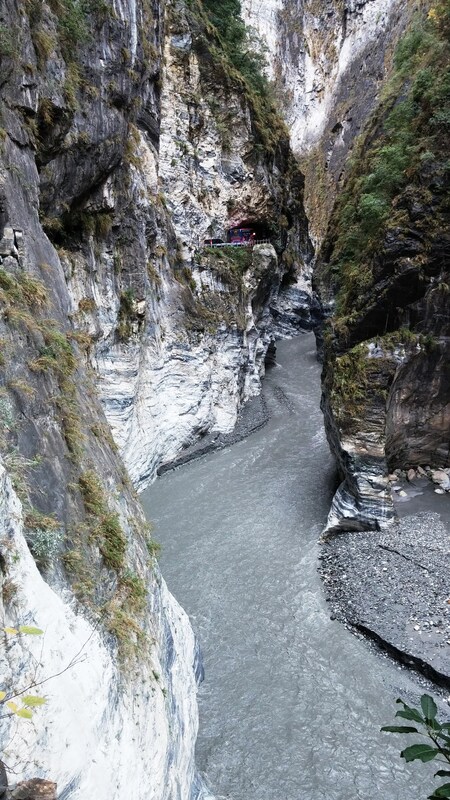 Bring warm clothes as it can get cold in Taroko. Bring an umbrella if you visit during the rainy season. 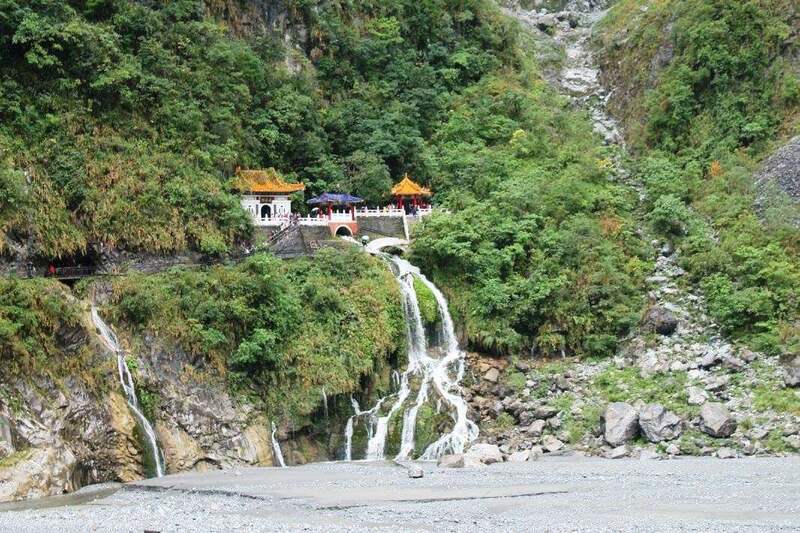 There are buses that take you to Taroko Gorge from Hualien station. 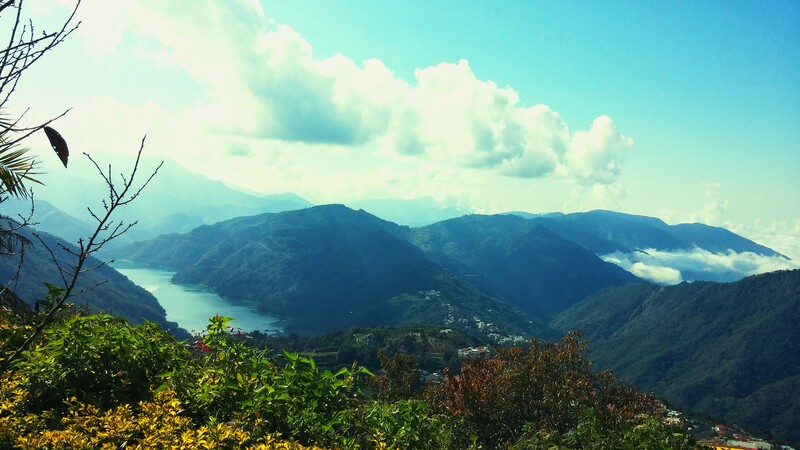 We took a cab because we were doing a cross island trip to Hehuanshan and Cingjing Farm. A typical cab ride from Hualien to Cingjing via Taroko and Hehuanshan costs about TWD 5000. A cab can take a maximum of 4 pax. Check out http://www.hualien-taxi.tw/ This is a very reliable agency. But you need to book in advance. There is no entrance fee into the gorge. 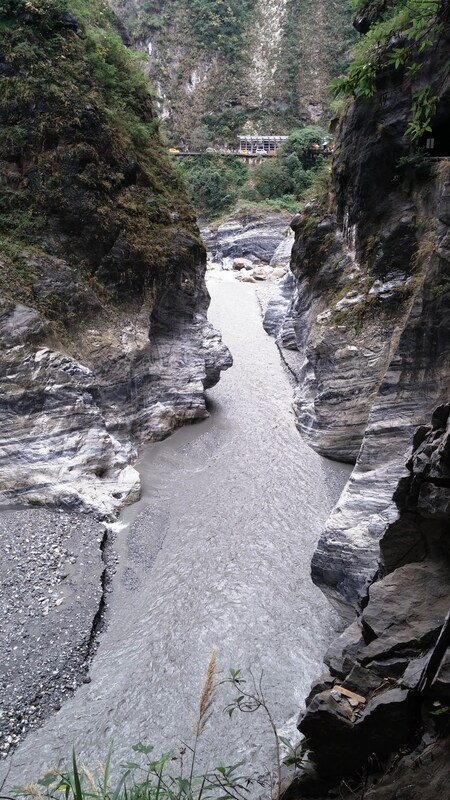 However, please check out the official website http://www.taroko.gov.tw/English/ for any news of closure.